This is how Germi Flynn D. Garfin, municipal engineer from the coastal town of Maydolong, Eastern Samar, describes Yolanda’s onslaught. As recovery efforts got underway, RAY DILG funds would later be used to rehabilitate the local civic center. “The repair of the civic center was important to us because we use it as a multipurpose facility,” Germi says. “It’s used as an evacuation center, a venue for meetings, and for sports events: the repair of the roll-up doors mean that we can also use it as a storage space when needed. Since it has a seating capacity for 1,000 people, it’s really an important facility in our town,” Germi says. At the nearby public market, Emma B. Carango- a vendor for more than two decades-explains how the storm was the strongest she had ever experienced. “It damaged the roll-up doors of the market,” she says. 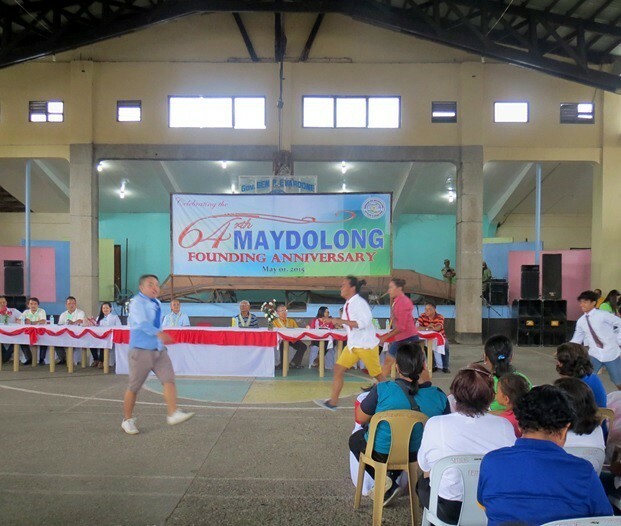 Maydolong residents celebrate the 64th anniversary of the municipality in the rehabilitated civic center- May 2015. The following year, the municipality would be struck by typhoon Ruby, and face the first serious challenge of disaster preparedness and resilience. 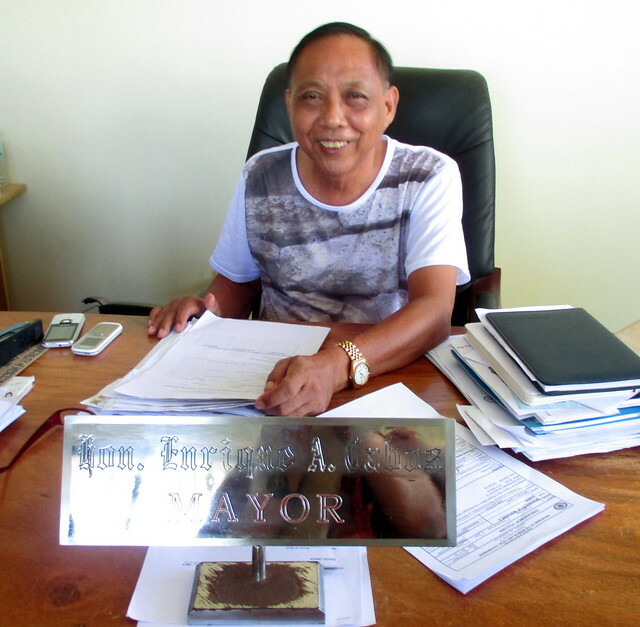 “Among the municipalities struck by Yolanda in Eastern Samar, Quinapondan was still lucky because it incurred minimal damage, when compared to our neighboring municipalities,” Mayor Nedito A. Campo remembers. Bulacan Gov. 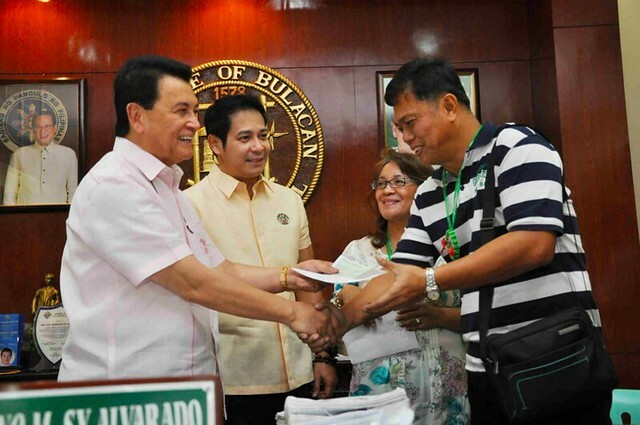 Wilhelmino M. Sy-Alvarado hands over a check amounting to P500,000 to Mayor Nedito Campo of Quinapondan, Eastern Samar to help local typhoon victims – March 14, 2014. Courtesy: Bulacan.gov.ph. Yet despite the minimal physical damage, the Mayor explains, local survivors experienced a kind of damage that proves invisible at first glance. “Truthfully, afterwards, almost everyone in the town was demoralized,” he says. 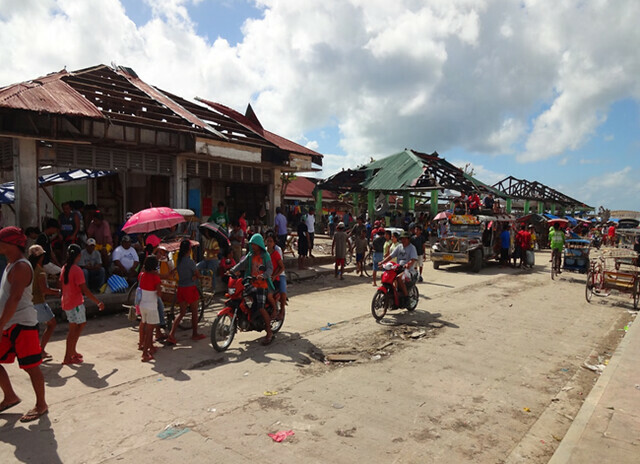 At the Quinapondan local market, vendors returned to view the destruction. For some, like Susan B. Gonzaga, this would make for some necessary improvisation. “With the roll-up door to our stall damaged, we had to hammer it down, open it, then hammer it down again each night, before re-opening it again the next morning. It was very tiring, but we had to sacrifice just to ensure that our products are secured at night,” she explains. With support from RAY DILG, “the moment the fund was downloaded to us, after having complied with procedural requirements, we started implementing the projects,” the Mayor added. Likewise, at the local market, vendors are back in business. “It is a morale booster to them (the vendors and customers), also,” the Mayor adds. “We thought we were prepared,” Mayor Enrique A. Cabos says, of the days leading up to Super Typhoon Yolanda. “But most of all, of course, we’re thankful that there were no casualties,” he adds. 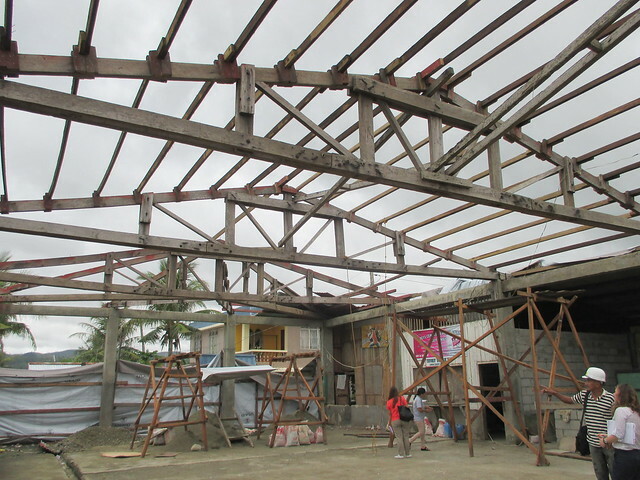 During the disaster, the local municipal hall, particularly the second floor, was badly damaged. “When the roofing was blown off, our documents were all blown away. We could look up and see the rescue helicopters flying above us,” Nicolas C. Saucelo, a local administrative aide remembers. Heavy rains had also stripped the paint from the building’s interior walls. 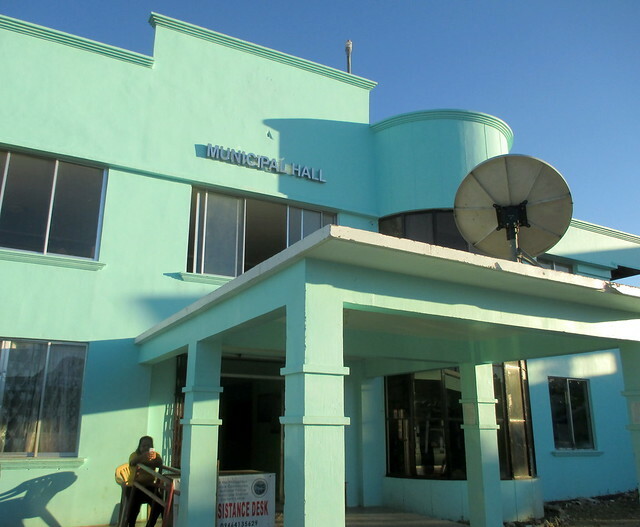 Before Yolanda, the municipal building had at times felt like a hotel, separated into closed-off sections. With support from RAY DILG funds, these partitions were later changed to glass. “We’re now more visible to our clients and to other employees,” Nicolas says. “Our office really improved since, and now we are more inspired and eager to work. It’s more convenient for us to cater to our clients,” he added. “Although, thank God that the water did not enter the municipal hall.” This key government building sustained partial damages due to the strong winds. So too, was the civic center. 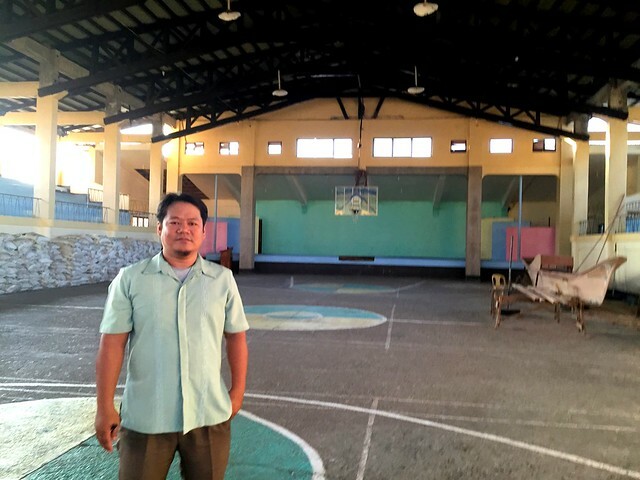 Jude Sidro, a local basketball player, explains that the center provides a vital space for community gatherings and events. “The weather is very unpredictable nowadays and it is very hard if you’re greatest opponent is the ocean,” he added. 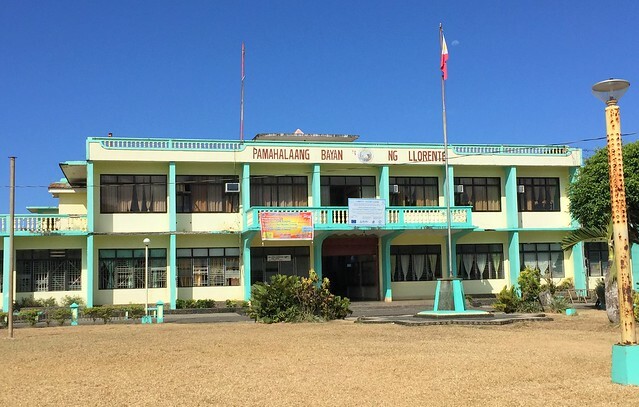 Located between Guiuan and Tacloban City, the coastal municipality of Lawaan lay almost directly on the path of Super Typhoon Yolanda. 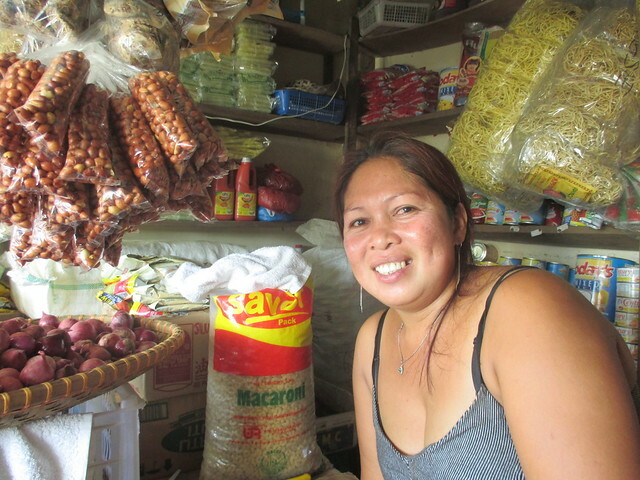 “We knew that it will be a super typhoon, but its strength really took us by surprise,” says local market vendor Elena G. Gayda. For these local residents, water is a way of life. The small town relies largely on local marine sanctuaries and fish reserves for much of its daily income. “Since our public market is located right beside the sea, we already anticipated that it will be affected by Yolanda,” she explains. 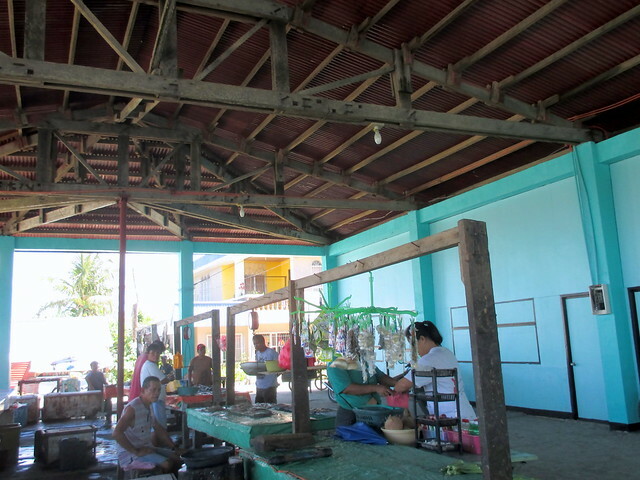 As with nearby houses and other infrastructure, the super typhoon stripped the roof from the market. Stalls were blown away by the freakishly powerful winds, and all that remained of the once-thriving market were the remnants of what had been structural columns. “We didn’t expect just how damaged the market would be,” Elena remembers. With support from RAY DILG funds, rehabilitation works were soon underway to restore the public market to its former vibrancy. 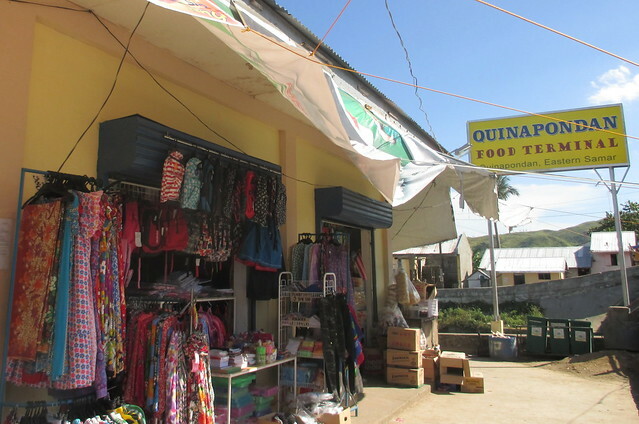 The newly-rehabilitated Lawaan public market – June 2015. 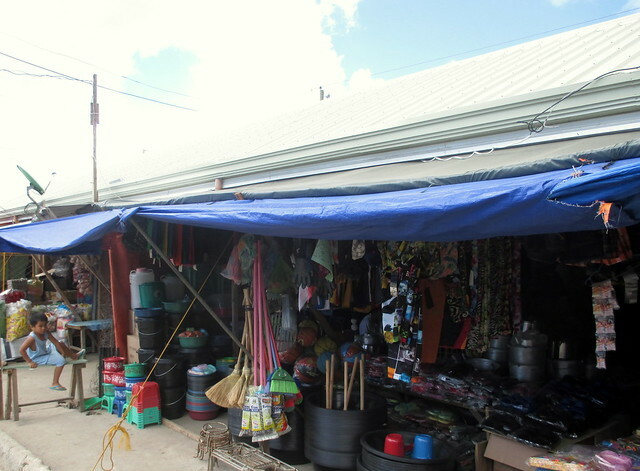 With columns and roofing repaired, vendors could then return to selling items, vital for their continued income. Electrical works then provided brighter lights, ensuring that vendors can now display their items better, stay open until late in the evening, and also protect their wares from theft. Improved wet market areas, aisle spacing and comfort rooms can now ensure a more comfortable visit, for vendors and patrons alike. 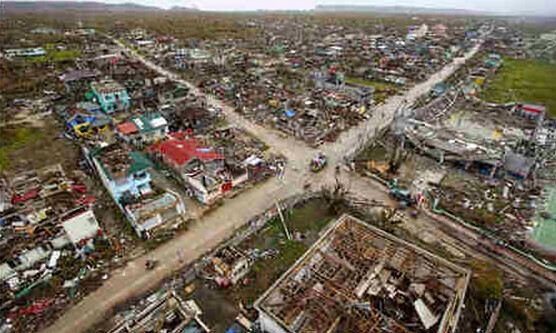 Super Typhoon Yolanda first made landfall in the municipality of Guiuan, Eastern Samar. Almost all the structures within the municipality were left in ruins, and the town remained largely isolated in the first days after the storm. “Almost everything were completely washed out,” explains Rosario D. Merilles, a local market vendor. The town’s La Purisma Conception church, a heritage site considered one of the finest Spanish colonial structures in the Philippines, was also devastated. 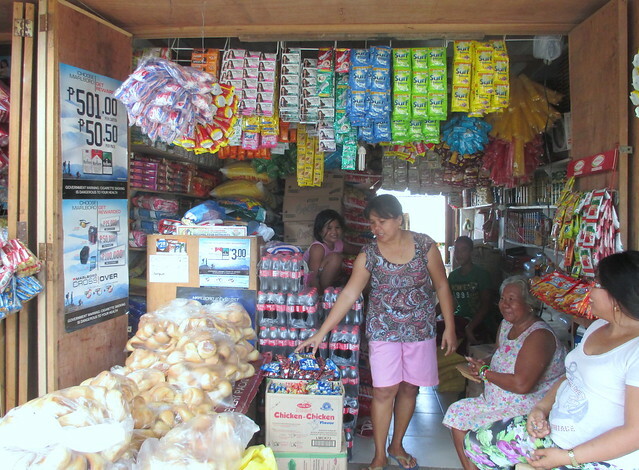 Nearby, close to the sea, the local market had also sustained extensive damage. 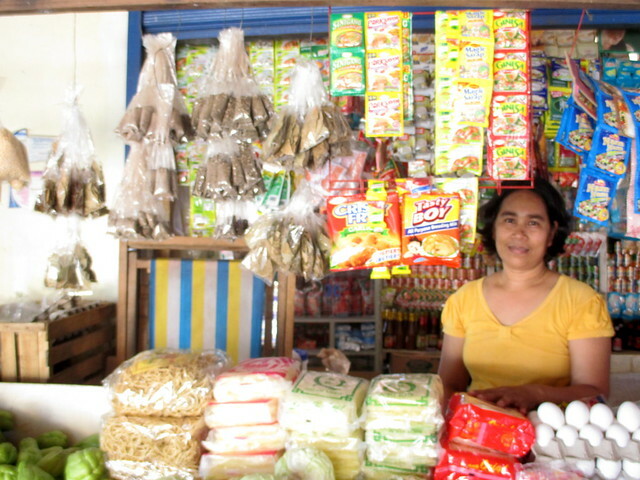 “In my market stall, all of our products were damaged; they were washed out, and all the debris made their way inside. Looting was also rampant, and some of my products were stolen,” she says. “We really never want to experience again the pain and stress that we did during Yolanda,” she adds. 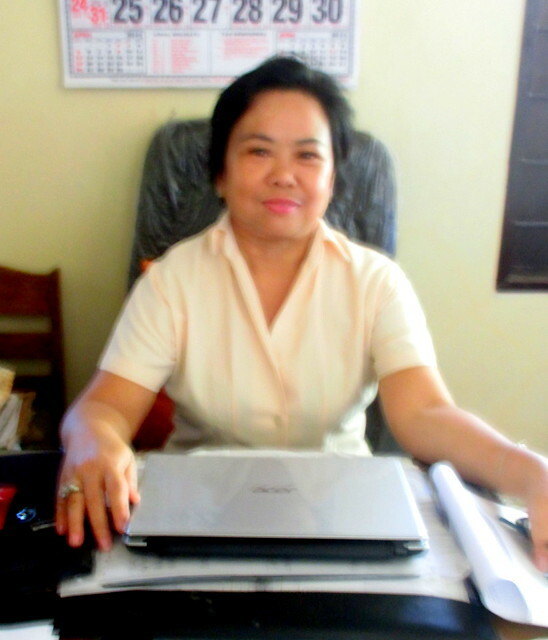 Maria Daina C. Monta has served as the municipal bookkeeper in General MacArthur, Eastern Samar, for more than twenty-five years. What she and her community experienced during Super Typhoon Yolanda will stay with them for a lifetime. “A group of army soldiers were stationed at one of our upland barangays , and they themselves witnessed giant waves in the Pacific Ocean,” she remembers. “As it approached the shoreline, they saw how it parted into two: maybe that was the storm surge. Since it was divided, it spared our municipality from extensive damage, but our neighboring municipalities were badly affected,” she remembers. Located in a catch basin, the local civic center situated nearby had often suffered floods during regular rains. 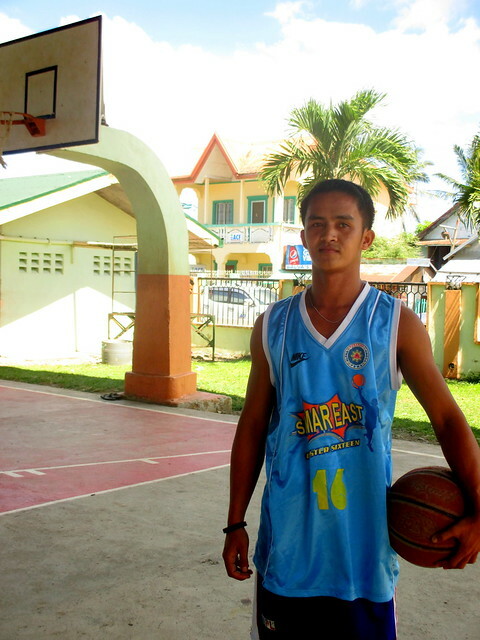 After Yolanda, it too was almost entirely destroyed. Meanwhile, at the public market, Yolanda had added further devastation. “(The market) was in chaos,” Rosita Abode says. “All the trash from the sea was brought by Yolanda into the market itself: and all our items were mixed in with the debris. You couldn’t buy anything, not even sugar, nor rice. All of it had been destroyed. 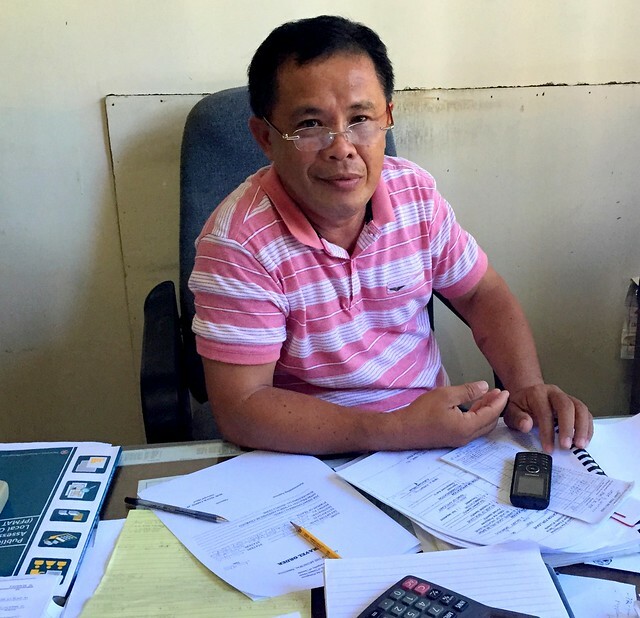 As the municipality began upon the long and slow road of disaster recovery, local Mayor Jaime S. Ty would prioritize rehabilitation of the public market and municipal hall. 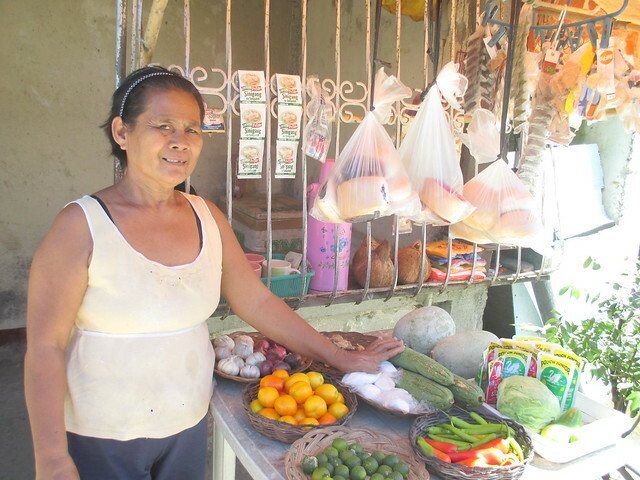 “Since the market was repaired immediately, even people from (nearby towns) of Borongan, Dolores, and Guiuan would come here to buy food supplies and other necessities,” Maria explains. With the support of RAY DILG funds, the municipal building could also be rehabilitated, quickly reinstating public access to basic government services for those both within and outside the municipality. 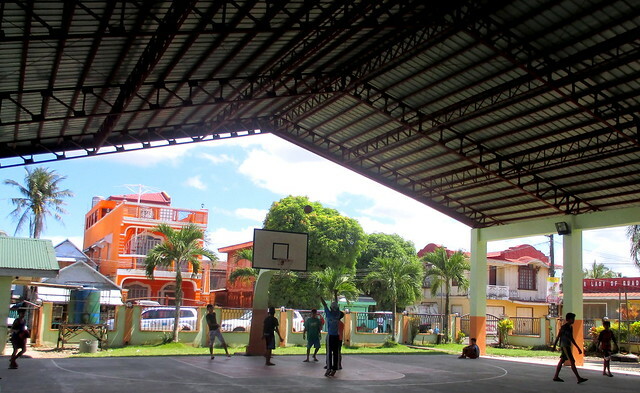 At the civic center, regular community activities are again underway, much to the delight of local patrons like basketball player, Jaypee Araneta. “Our league too a break after the building was destroyed,” he says. Since then, the structure of the center has been reinforced with sturdy materials, and the flooring raised for added flood protection. With mixed emotions, on November 9, 2013 – the day after Yolanda – Maria would celebrate her birthday.